The Disney J1 Australia and New Zealand Cultural Exchange Program is a five to twelve-month experience located at Walt Disney World® Resort, near Orlando, Florida. Participants of this program have the opportunity to gain real world work experience with a world renowned entertainment company, learn skills from Disney leaders, meet people from around the world and take part in a life-changing experience. 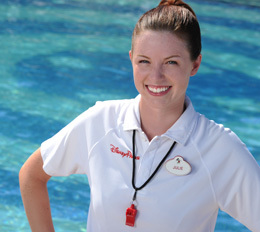 Participants work in front line, guest-facing roles throughout our Parks & Resorts. Apply here for January 2020 arrival. Be a citizen of Australia or New Zealand. Have completed year 12 and are now a current full-time student at an accredited post-secondary University, TAFE or Polytechnic institution acquiring a Bachelors Degree, Diploma or a Certificate. Current program of study must be at least 1-year in length (candidates enrolled in accelerated 6-month programs are not eligible unless enrolled in consecutive 6-month programs that total at least 1 year and are within the same field/similar field of study). Have completed at least their first year of consecutive full time study. Be studying your post-secondary courses in a classroom. If you are taking classes full-time online or the majority of your courses online, you are not eligible. 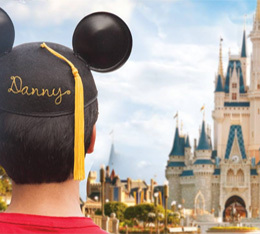 If you have earned a Bachelor's Degree you may also apply but must start work at Walt Disney World® Resort within 12 months of your graduation date. If you are enrolled in an Advanced Diploma, Diploma, or Certificate program, you must have completed your first full year of study and be actively enrolled in your educational institution. Graduates of these programs are not eligible. Not defer the semester prior to your arrival. Candidates are required to attend a presentation and in-person interview in Australia or New Zealand.